Canada Supports Macedonia’s Demise – Foreign Minister Freeland, Tell us WhyA Tale of Macronist Neoliberalism: Les Gilets Jaunes and Implications for Climate ChangeGlobal Roots of Canada’s Housing Crisis?When to Call a Terrorist a Terrorist: Fear and Foreign PolicyIn the Wake of the Khashoggi Killing: Should Canada Use the Magnitsky Act?“Train-the-Trainer”: Will the New NATO Mission in Iraq Include Muslim CAF Members? A virtual dialogue with a Canadian multi-cultural Patriot who rejects populism as a right-wing ideology.. Regarding Quebec, I find your views stark and disturbing. It is an amazing twist of fate that you can promote ROC (rest of Canada) prejudicial views and positions even better than the traditional Canadian elites that you serve and whose hegemony rules in the land of the forked tongue. The essential Anglo-Saxon fanaticism about ensuring the absolute and abstract quality of individual rights (this is the basic theoretical underpinning of Canadian multi-culturalism) to the detriment of any social and political project explains not only the ROC distaste for French Quebec and its efforts to guarantee the use of the French language on its territory, it also explains the ROC resentment at being unable itself to assert any coherent national identity while embracing multi-culturalism as a way to paper over the shattered national fabric. Multi-culturalism has become the latest ideological tool used to cobble together a union decimated by poor and weak leadership, an economy in debt under the joug of American sanctions (tariffs) and suffering from a lack of productivity. The latest trilateral trade deal between Canada, USA and Mexico illustrates a defeatist elite seeking a safe harbour from US President Donald Trump’s wrath. Where is the feisty combative spirit of ex-PM Jean Chrétien, who refused steadfastly to support the American attack on Iraq in 2003? Rights are always exercised in a specific context. To treat them as abstract entities the way multi-cultural extremists do is as noxious as not having any rights at all. John Stuart Mill’s proviso about respecting other ‘regarding liberty’ should be remembered. Hegel’s analysis of the French Revolution is also instructive since it demonstrates how abstract rights can lead to political authoritarianism. Abstract and absolute conceptions of human rights lead to multicultural dogmatism and this is why your criticism of political populism rings hollow. Political and ideological dogmatism are used by multi-culturalist proponents to repress those who dare to question the multi-cultural ideology. I do not like Maxime Bernier, leader of the new Populist Party, or Conservative Ontario Premier Doug Ford and their simplistic ideas either but Bernier has a few cogent points. For example, segregating ethnic groups and pitting them against each other and the state, if necessary, illustrates Trudeau’s brand of multiculturalism, a Tammany Hall style politics, picking off each group with contracts and money to secure votes. Trudeau’s disastrous India trip in 2018 demonstrates this strategy albeit clumsy in its affirmation. Multi-culturalism will not make disappear these facts: the Maritime provinces are an economic basket case. Alberta is awash in filthy bitumen unfit for any safe transportation inside or outside Canada. Prairie provinces still use coal to generate power and rely on highly uncertain foreign markets like China. In Ontario, where the departure of General Motors has added to a declining manufacturing sector riddled with US tariffs and a new unfair NAFTA 2, French minority rights are trampled by a new Conservative government dedicated to eradicate measures to stem climate change. British Columbia is attempting to protect its pristine nature against an increasingly bellicose federal government determined to sink climate change by seeking tidewater access for Alberta bitumen. Canadian multi-culturalism is also based on resentment of Trump’s America and the extortion that Canadians have been made to endure while negotiating the recent trade pact. The objective was to stay off the Mexican radar and avoid the worst. Yet, the Canadians did not avoid the worst. US tariffs on steel and aluminium are still in place as are the unfair taxes on softwood lumber. The Trudeau Liberals have illustrated the weakness and moral lassitude that only Canadian multi-culturalism can explain away in defeat. The recent decision of General Motors to leave Canada coming on the heels of the signing of the new trade deal renders the Quebec dairy concessions utterly futile. 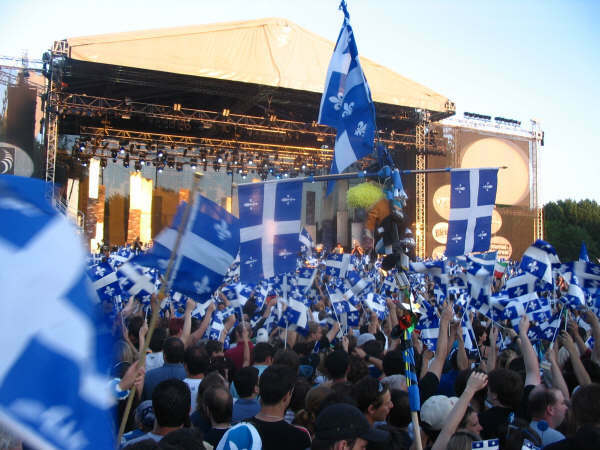 The victory of François Legault on October 1st marks a turning point in Québec. The nationalists are back in power. Québec knows where it is going. It might not be sovereignty right away but there will be no oil pipeline crossing its territory and a re-invigorated Bloc Québécois with the environment as its major priority may turn out to be more of a challenge in the federal election of 2019. The ROC, buttressed by the multicultural myth, is adrift. The climate change policy disaster; an Afghan detainee scandal stands as a rebuke to international humanitarian law; a hypocritical refusal to implement electoral reform, disdain of French-Canadian rights in all provinces and a broken Aboriginal policy – are we somehow supposed to think that multi-culturalism can paper over all of this defeatist drift?